From 2010, engineers have been in secret working in a store room situated outside of Paris, France. But until now, limited people knew what precisely they were up to. The storeroom belongs to one of Europe's top aerospace corporations, Airbus, and on June 5, the company revealed design plans for a reusable Ariane rocket, made by the French-based corporation Arianespace. 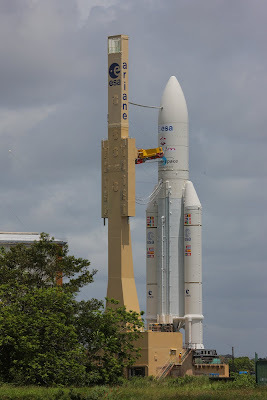 Arianespace is a big opponent of the American corporation SpaceX, and SpaceX's promise for tremendously inexpensive reusable rockets in the near future has left Arianespace scrambling to find a method to race when that future day lastly comes. Now, it appears to be that they might have a beacon of hope. Airbus is naming their reusable rocket design Adeline, which is short for Advanced Expendable Launcher with Innovative engine Economy. And throughout these last five years, Airbus engineers have been concealed away working on designs to secure the exclusive rights they needed to build Adeline, which they say could decrease Arianespace's launch expenses by up to 30%. The corporation expects to see their design fly by as early as 2025.